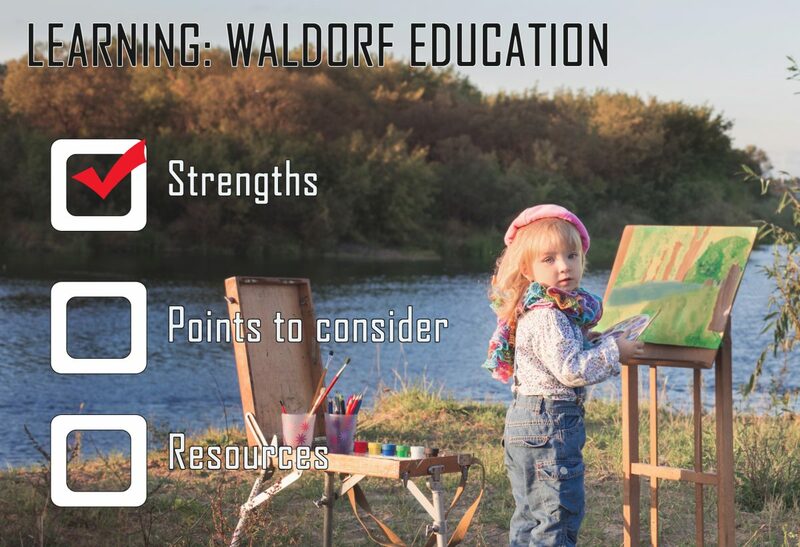 Waldorf education is based on the work of Austrian educator Rudolf Steiner and was designed for use in small private schools. The methods have been adapted for use in the homeschool setting. Stressing the importance of educating the whole child in mind, body and spirit, there is an emphasis in the early grades on arts and crafts, music and movement, natural science, spirituality, and group social skills. Older children are guided to develop self-awareness and to reason things out for themselves. The use of television and computers are discouraged. Children in a Waldorf homeschool also do not use standard textbooks; instead, they create their own journals or books recording their experiences, thoughts, discoveries, and conclusions. A typical Waldorf homeschool day has a rhythm and flow that incorporates: circle time; some reading and writing; spoken storytelling; play time with Waldorf inspired toys; a math or science lesson; assisting with meal preparations; a field trip or nature walk; crafts; and, a bedtime ritual.